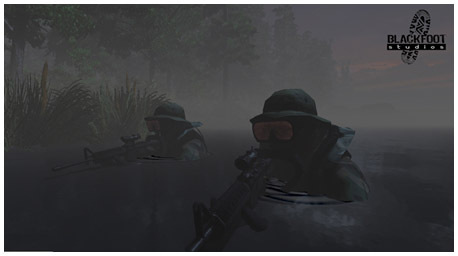 BlackFoot Studios’ premiere title; Ground Branch is based on the real life subsection of the Special Activities Division of the Central Intelligence Agency. The Special Activities Division typically carries out deniable covert operations on foreign soil and often goes into a situation before anyone else, before Special Forces, before the SEALs, before DevGru; SAD Ground Branch is the true tip of the spear. SAD Ground Branch operatives are mainly recruited from Army Special Forces or CAG units and are experts in field craft, surveillance, small arms, hostage rescue and Close Quarters Battle. Being a CIA unit Ground Branch has a free hand to get the job done and as such will take measures which military units cannot. There are laws in war and Ground Branch tears those pages out of the book when necessary. They are the gunslingers of modern day warfare and are not a direct combat unit but instead rely on stealth and hit and run tactics. This means their operational manners may be deemed questionable by some at times. Ground Branch isn’t sent in to be an ambassador of good will, they are sent in to get very specific results. As players, gameplay will be deliberate, calculated, gritty and heavy. Without the consequence of death and loss there is no depth to the game. Loss will be personal and unavoidable. We are not taking the moral high ground but players will sense the impact of their actions. Your gear choices, route choices, team plan and actions against the enemy will all play into your success or failure. Multiplayer games will be methodical with pockets of quick but intense firefights all the way to long drawn out engagements against an equally matched team. There is no artificial balancing, but the individual’s skill and decision making will be what allows them to succeed. This looks awesome, best wishes at it. 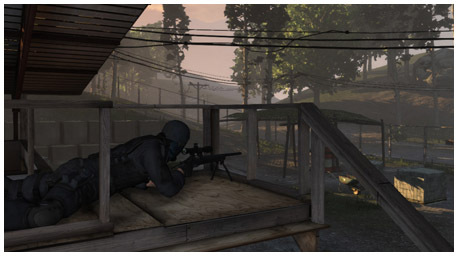 serellan killed the tactical shooter genre. blackfoot is going to revive it! For once I'm looking at a tactical shooter that may actually make use of the phrase "tactical". Looks great, and I can't wait to see this be released. About time we got a good tactical shooter! This is so refreshing. There'll be awesome sauce in my pants when this game comes out :P Guys, make sure to spread the word of the new Kickstarter campaign in January! I am as well looking forward to this game, I just can't wait! Love the emphasis on detailed sound design especially on the reload cycles. Glad to see this is still moving forward. Realism and tactics with fluid gameplay. BFS is converting over to UE4 from UE3, so stay tuned for new screenshots and kickstarter in the new year. About time tactical gamers get something decent. Looking forward to this game so much!